“Ok, so it has taken me a bit to write but here goes… Last October, I was on the hunt for lard. I needed to make a cookie that my great-grandmother made for my mother as a little girl. 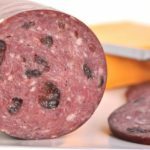 I went to every butcher and market within 60 miles of my home. No luck. 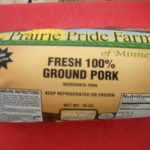 Commercially raised pigs are too lean, and I could find any farm raising heritage brands. I took to the internet and found you. Ordered the lard and made the cookies. My mother cried and it was the best Christmas ever. I am now hooked on lard for all my baking. While I am an experienced cook and always get rave reviews for my dishes, they now are even better! I will now be a regular ‘lard’ customer. My last order was two 4 pound buckets. They arrived still very cold but not frozen. “Last month I had you send some product to my sister Betty DePaul in California following her husband’s death. She was ill for a while so I was not able to talk to her until today. I’m a new customer and received my first order from you last week. I thought you might appreciate some feedback. – I’m a “foodie” and I make many gourmet meals for my family of 5 at home. – I like to buy the highest quality, most flavorful foods available. I couldn’t care less about the latest health fads since I’ve lived long enough to know that all the scientists will change their minds twice over the course of the next 10 years. – I live in the Silicon Valley area of Northern California, quite a distance from you. – When I opened the very large, well insulated box you sent recently, the contents were in immaculate condition—great wrapping, still frozen, well packed. – That said, I hate your chicken. 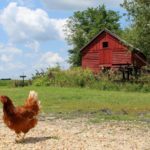 I hate it because now I can never buy chicken from the local grocery store ever again. Absolutely phenomenal. – You might want to include some marketing materials with your orders. I personally think that word of mouth would be a great growth vehicle for you. “Having the Courage to be First, be Best, be Different: The study and Story of Local Entrepreneurism” by Milton Toratti, Master Facilitator. Published March 2004, AdVance Creative, Vernon Center MN. 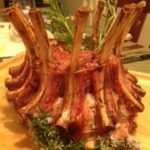 “Now, It’s the Other Red Meat” The Atkins Craze Gives a Boost to Fattier, Tastier Pork: Tracing your Chops’ Pedigree. Wall Street Journal. Jan 13, 2004. 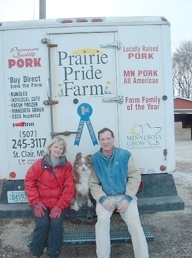 “Pork Producers cater to Clientele” Rural Mankato couple finds some less conventional means of selling their products, including catering events and marketing online. The Land-Southern Addition. Oct. 10, 2003. “Spicing up their sauce’s prospects” Roger and Paul Hubmer concoct a spicy barbeque sauce that wins a contest. Mankato Free Press. Feb 5, 2001. “Their little piggies go to Farmer’s Market” Local farm family tries selling their pork products directly to consumers. Mankato Free Press. June 1, 1999.